The sound quality reproduced by your Hi Fi turntable depends to a large degree not only on the quality of the turntable itself, but also the quality of the moving magnet or moving coil cartridge fitted to your tonearm and how well they are matched and set-up. For budget to mid-range turntables, moving magnet cartridges are the most popular as the stylus (needle) can easily be replaced and most hi-fi amplifiers are more likely to have a phono input suitable for MM cartridges than MC. Moving Magnet cartridges have a higher voltage output than Moving Coil, therefore needing less amplification. Moving Magnet (and Moving Iron, such as Grado) cartridges typically track at below 2g and offer low record wear, high signal to noise ratio, and relatively inexpensive stylus replacement. 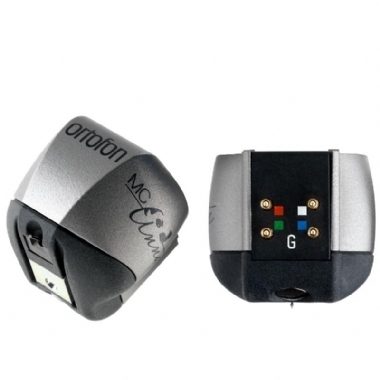 Moving coil cartidges offer a step up in musical detail, bass power and neutrality, and for those looking for the most convincing performance from their turntable, MC cartridges are often the best choice. Please call our York store for more info.